1. Do you offer after school or evening lessons? I currently offer lessons on weekday mornings and midday hours as well as Saturdays and Sundays by appointment. 2. Why don't you offer afternoon or evening lessons? I have family obligations in the afternoons and most evenings. 3. What does my child need to bring to lessons? Your child needs a swim suit and swim goggles. Additionally if your child is not fully potty trained a secure swim diaper and swim pant is required. Please be aware if your child has an accident in the pool you will be responsible for a $250 pool cleaning fee. 4. How long will it take for my child or me to learn to swim? Every individual learns at their own pace and therefore this time frame all depends on the student's starting point and own personal learning curve. It is important to note that is typical for children to progress rapidly at first then stall or even regress if they are out of the water for long periods of time. 5. Do I need special equipment for stroke instruction? You will need goggles, a swim cap if you have long hair, and a functional swim suit. 6. Will my child or I have the same instructor each time? Yes, I am the only instructor for Swim For All. This is a huge advantage for the insecure child or participant. 7. Should my child take lessons year round? Yes, if possible. Consistently attending swim lessons enables the student to become comfortable, confident and skilled in the water. Lessons do not have to be every week with Swim For All. You may set up your own schedule. 8.Does my child have to take lessons at the same time every week? No, I will work with your schedule. Lessons can be weekly, bi-weekly, or whatever works best for our schedules. 9. Can I do one trial lesson and see if it is a good fit? Yes, I offer free 10 minute evaluations as well as discounted trial lessons. Please contact me for more information. 10. Do you do make-up lessons? Yes, for private and semi-private lessons. 11. What is your policy for canceling private lessons? A 24 hour notice is greatly appreciated when possible. Any no-shows or cancelled lessons within 4 hours of the lesson time may not be refunded. 12. When and how do we pay? Payment is due to prior to each lesson or group of lessons by cash, check, or PayPal. Checks should be made out to Swim For All. If using PayPal you will incur the PayPal fees. Please note there will be a $25 fee for any checks that do not clear the bank. 13. Do you work with non-verbal special needs clients? Yes, I have worked with non-verbal clients for over 10 years now. 14. Do you work with beginner adults? Yes, I work with all ages and all abilities. 15. Do you have experience with other disabilities besides autism? Yes, I have worked with children with cerebral palsy, downs syndrome, deaf, epileptic disorders, Cohen's syndrome, and children with other genetic disorders. 16. 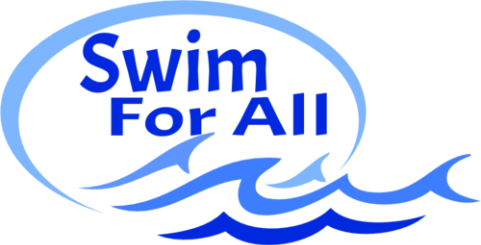 What makes Swim For All different than other swim programs? I strive to make each participant's experience rewarding and customize the lessons to fit each client's needs. I am the only instructor and this allows for you to have a consistent, personalized lesson. 17. What is your bad weather policy? If your lesson needs to be cancelled due to heavy rain, thunder,lightening, or chilly temperatures we will work together to reschedule your lesson.